Anthony DiTonno, CEO of Tenax Therapeutics, talks about what’s on the horizon for financing and the development of the company’s drug. 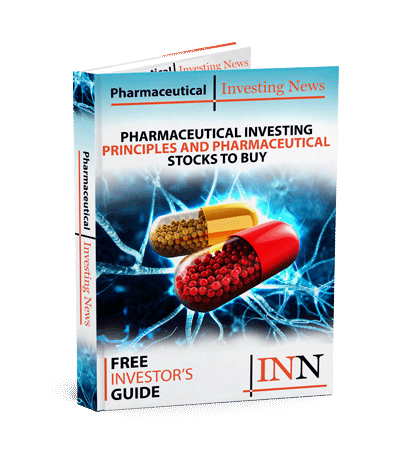 Tenax Therapeutics (NASDAQ:TENX) is ready to begin enrolling patients in its pulmonary hypertension clinical trial. Anthony DiTonno, CEO of Tenax, told the Investing News Network about the company’s ongoing trial, the drug and financing. DiTonno said the drug was developed by Orion Pharma in Finland, but is not available in the US. There is also no approved therapy for the indication. Tenax will enroll patients in the Phase 2 trial for pulmonary hypertension this quarter. Topline results from the trial are expected by the end of the year. If positive, DiTonno said the company will meet with the US Food and Drug Administration (FDA) to design a Phase 3 trial for the drug. The Phase 2 trial will enroll 36 patients over the course of the year and the trial will last six weeks. The company has already initiated five or six clinical sites for the trial to take place, which include “top rated institutions” he said. This consists of Mayo Clinic, Stanford University, North Western and more. While the company is in early clinical development, DiTonno said there’s a significant body of evidence suggesting the drug is safe and effective for a variety of cardiovascular conditions. The drug, levosimendan, is backed with 1,000 clinical citations, medical literature and 60 countries worth of approvals. It’s also already treated 1.5 million patients for acute decompensated heart failure. Tenax is developing the drug for pulmonary hypertension and heart failure with preserved ejection fraction (PH-HFpEF) in the US. Tenax has previously developed the drug for cardiac surgery, and failed a Phase 3 clinical trial for the indication in January, 2017. As for financing, DiTonno said the company’s current cash on hand coupled with a recently raised US$10 million will it “through the end of Phase 2 meetings.” In other words, until the end of 2019 and into the first quarter or so of 2020. “We have the funds that is sufficient to fully enroll and analyze the data,” DiTonno said. This includes getting some initial feedback from the FDA, in terms of moving forward in Phase 3 trial. It’s never a sure thing when companies go to raise money, DiTonno said, but there’s a potential additional US$10 to US$20 million that could come in for Tenax. For now, DiTonno said the company doesn’t see an “immediate need” to do any additional financing. Check out the full interview with Tenax in the audio above from the Biotech Showcase 2019.